Call or email us today to learn more about our full line of restorative appliances! 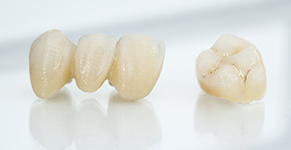 enCore Dental offers a wide selection of dental alloys from Argen to fit all your PFM needs. 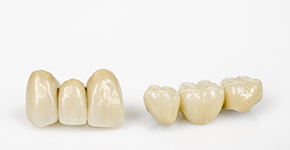 From e.Max to full contoured zirconia crowns, our CAD/CAM team is ready to help you design and mill a beautiful metal free restoration that meets all your esthetic and treatment needs. 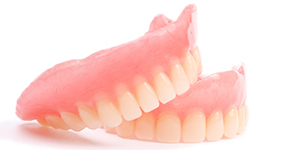 For patients seeking full arch solutions at an affordable price, our full dentures are available in a variety of acrylic shades with a superior fit for the most comfortable denture available. 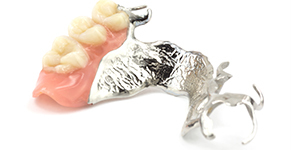 Whether the treatment calls for a cast partial or a flexible partial, our team can help consult and design a form fitting partial denture that your patient will hardly even notice when worn. 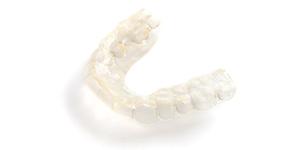 For patients with bruxism, we offer form fitting nightguards in a variety of cushioning levels. 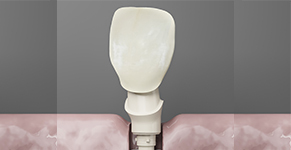 Call enCore Laboratory today to learn more about all of our restorative appliances! enCore’s dedicated and enthusiastic staff are ready to help you with any of your restorative needs. Call or email us today to get started! enCore’s team of technicians have over 20 years of experience and guarantee that your treatment needs will be met with our high-quality restorations. enCore’s team works tireless to not only provide best in class service and restorations, but is also dedicated to do so at a fair price. Give us a call today to see for yourself!